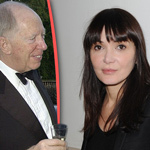 (Zero Hedge) Over the past three years, an unexpected voice of caution has emerged from one of the most legendary families in finance: Lord Jacob Rothschild. One year later, Jacob Rothschild again warned about the outcome of "what is surely the greatest experiment in monetary policy in the history of the world", and then again in August 2017 he cautioned that "share prices have in many cases risen to unprecedented levels at a time when economic growth is by no means assured." The period of monetary accommodation may well be coming to an end. 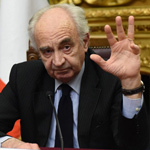 Geopolitical problems remain widespread and are proving increasingly difficult to resolve. 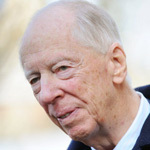 Fast forward to today when in the latest half-year commentary from RIT Capital Partners, Lord Rothschild has made his latest warning to date, this time focusing on the global economic system that was established after WWII, and which he believes is now in jeopardy. It wasn't clear if he was referring to the post-war fiat standard that emerged once FDR devalued the dollar relative to gold, and then fixed a price for the yellow metal, a tenuous link that was subsequently destroyed by Nixon who finally took the US off the gold standard, or the primacy of the dollar which emerged as the world's reserve currency after the end of WWII, but whenever one of the people who profited handsomely from the "post-war world order" warns it may be on its last legs, it may be time to worry. 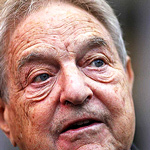 With global risks growing, how is Rothschild positioned? The Lord writes that "in the circumstances, our policy is to maintain our limited exposure to quoted equities and to enter into new commitments with great caution" and indeed, in the first half, RIT had a net quoted equity exposure of only 47%, historically low. The reason: the iconic banking family is concerned that the 10-year bullish cycle and the market rally could finally be ending. The cycle is in its tenth positive year, the longest on record. We are now seeing some areas of weaker growth emerge; indeed the IMF has recently predicted some slowdown. 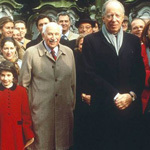 While Rothschild noted that "many of the world’s economies have enjoyed a broad-based acceleration not seen since the aftermath of the financial crisis of 2008, with as many as 120 countries seeing stronger growth last year" he also cautioned that "we continue to believe that this is not an appropriate time to add to risk. Current stock market valuations remain high by historical standards, inflated by years of low-interest rates and the policy of quantitative easing which is now coming to an end." The problems confronting the Eurozone are of concern – both political and economic – given the potentially destructive levels of debt in a number of countries. The likelihood of trade wars has increased tension and the impact on equities has been marked, for example by early July the Shanghai Composite Index had dropped some 22% from its peak in January. Problems are likely to continue in emerging markets, compounded by rising interest rates and the US Fed’s monetary policy which has drained global dollar liquidity. We have already seen the impact on the Turkish and Argentinian currencies. Rothschild continued the shift away from US capital markets exposure announced two years ago, noting that his "exposure to absolute return and credit assets continued to generate steady returns and on currencies, the net asset value benefited from the strengthened US Dollar." Compare the collapse in the fund's USD exposure, which as of June 30 was only 29%, to the 62% as recently as December 31, 2016. 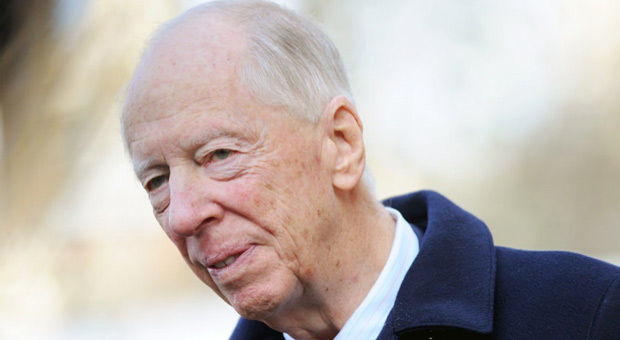 Could this spell the end for the Rothschilds' control over the world's economy?